Carson took this great photo of Boris and me approaching the Skyball KOM for the second time. 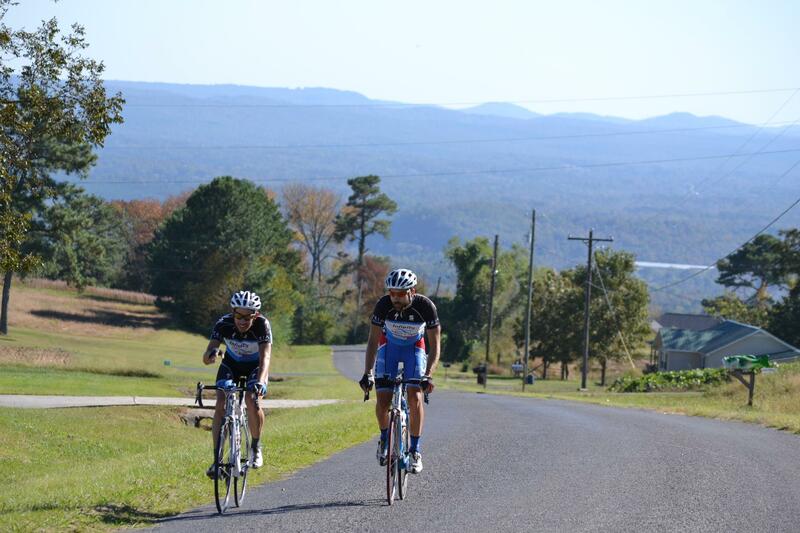 Saturday marked another great end of the season ride/race/party at the Tour de Cullman. The ride starts out as a motor-cycle led neutral social ride before we hit the start of the 18 mile race portion of the ride. It was fun meeting people and catching up on a year of bike racing. As you might imagine, the Lance Armstrong saga dominated a lot of the conversations going on during the ride. Once we made it to Co Rd 26, the green flag was dropped and Philip Thompson set the early pace at the front. We got into a short rotation before making the left onto Co Rd 11 where the race really gets started with a steep 1K, 9% average 15% max wall. Boris lifted the pace at the front causing the group to explode. Only Stuart Lamp, Darrell O’Quinn, and I were able to keep up with Boris across the top. 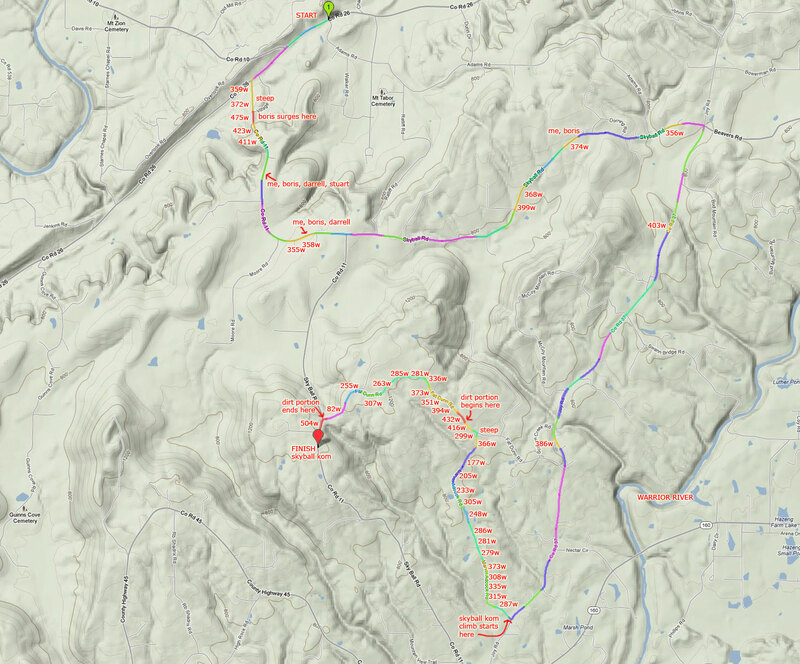 My four best times on the Skyball KOM – this year’s was the fastest! And here are some more pics and videos from a great day of racing, riding, and having fun. I rode up to the top of Shades Mountain to meet Boris to carpool up to Cullman – didn’t want to miss out on my morning coffee. View of the Skyball mountain ridge line shortly before the start of the race portion of the ride. Bill St John cooks delicious pizzas in his portable stone oven. Carson made the “Best Cullman Rider” trophy out of a brick recycled from the April 2011 tornado that went straight through downtown. Heading home after a long day of riding – we had to zip tie the zippers of my backpack to the trophy since the trophy was sticking out the back. This entry was posted in Racing, Training and tagged fun, kom, road race on October 22, 2012 by kartoone.